Flawless skin without pores is everyone’s dream. Flawless skin without pores is everyone’s dream. People with healthy, flawless skin know that the right natural care routine matters more than the latest trendy store-bought products. Do not just try out everything that you see on TV as it might do more wrong to you than good. Large pores on the skin are a nuisance. It is a skin woe that no one likes. Although everyone has pores all over the skin and they play a crucial role by allowing sweat and sebum to leave the body. Therefore they help the body to get rid of toxins and oils. When these pores become large due to various factors, you may find yourself beset with acne, whiteheads, blackheads or cystic acne. The larger your pores, the more visible they are. They ruin your beauty and are quite irritating. Large pores are caused due to many factors most of which we cannot avoid. Understanding the causes can certainly help you find the solutions. · Natural ageing process causes your skin to lose its firmness and elasticity. It can make pores more visible on your face. · Hormonal changes including puberty, menstruation, pregnancy and menopause can make your pores look larger and ugly. 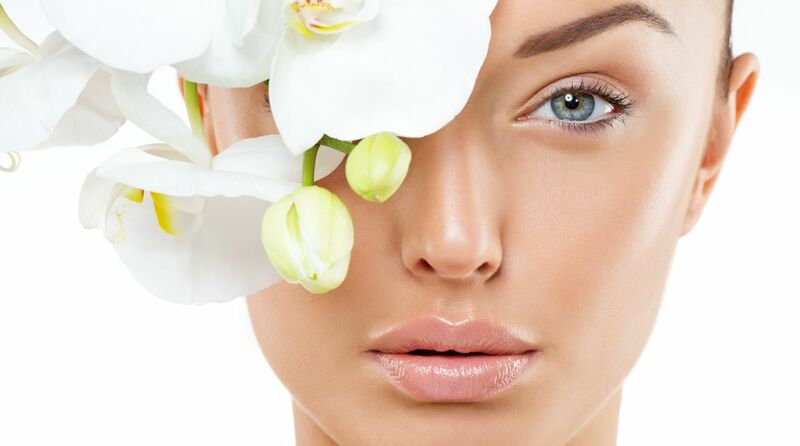 · Your skin texture also decides whether you will have enlarged pores or not. Generally, people with naturally oily skin have larger pores. It is because the skin swells when excess oil, dead skin cells and dirt collect in the small pores of the skin making them visibly larger. · Men have biologically larger pores than women. · Excessive sun exposure can also lead to larger skin pores. When your skin comes in contact with ultraviolet rays, the skin’s collagen, elastin and water content decrease. Also the tissues beneath the skin shrink due to which edges of the pores stretch, thus leading to larger pores. · Your genes also decide whether you have larger skin pores or not. If someone in your family has larger skin pores, there is much possibility for you to inherit this skin flaw. · Applying too much makeup can also lead to clogged pores and hence enlarged pores. · If you smoke, the chemical residue can create an unhealthy build-up that makes the pores large. · If you do not maintain proper hygiene of your skin and wash your face regularly, you can suffer from enlarged pores. Pores can continue enlarging if you allow them to stretch out and become clogged with whiteheads, blackheads, sebum and dirt. Prevention is the best defence for people who are prone to have large pores. · If your skin is oily, avoid applying greasy formulas on it. On the other side, you also have to avoid the formulas which can make your skin overly dry because your skin feels a threat of losing all moisture and therefore starts producing even more oil out of shock. It means you need to maintain a perfect balance of both. Avoid using bar soaps as they can make your skin dry and escalate the problem of enlarged pores. · Eat lots of fresh fruits, vegetables and other components of raw foods. Avoid eating oily foods. · Detoxify your body on a regular basis to help reduce the production of natural oil. It will help prevent enlarged pores. · Opt for antioxidant-rich gels and scrubs for your skin and not the greasy creams and lotions. · Regular facial at home with natural ingredients and application of home-made masks can draw oil and sebum from deep inside the pores helping in the prevention of enlarged pores. For an effective face mask, mix two tablespoons of gram flour with half a teaspoon of turmeric powder, two tablespoons of curd and two to three drops of virgin olive oil. Mix all ingredients well. Apply this paste on your face and neck, leave for 30 minutes. Rinse off with water. Repeat this process twice a week to tighten your skin and prevent enlarged pores. You can also apply papaya pulp on your face and neck thrice a week. Rinse off after 30 minutes. Papaya pulp has antioxidants properties and has the enzyme papain which can reduce clogged pores and therefore it will also help prevent enlarged pores. · If you are on birth control pills, speak to your gynaecologist to reduce the dose because these pills contribute to the production of oil and thus enlarging the pores. · Apply minimal makeup. When applied, do not forget to remove all traces before going to bed. Cleanse your face thoroughly and apply a toner afterwards. · You can get rid of all oil in your skin by sweating in a sauna. The steam opens up pores of the skin and detoxifies it from deep inside. Be sure to cleanse thoroughly before and after entering the sauna. · If you have long hair, do not allow them to fall on your face. Hair already has lots of natural oil. In addition, brushing up hair against your face will increase the production of oil. Always keep your hair off your face. · Apply fresh aloe vera pulp daily on your face and neck. Let it rest for 15 minutes. Rinse off with water. · Apple Cider Vinegar is one of the best-known skin toners. Dilute it with water in equal quantity. Dab on your face with a cotton ball. Rinse off after 15 to 20 minutes. · Make a thick paste of two tablespoons of oatmeal, one egg white and one teaspoon of lemon juice. Apply on your face twice or thrice a week. Wash off after half an hour. · Massage your face with argon oil or jojoba oil every day before going to bed. Let it sit overnight. Wash with water in the morning. Both the oils are known to tighten skin pores. · Grate half cucumber. Squeeze out its juice. Mix it with one tablespoon of lemon juice. Apply this mixture every day on your face. Give a rest of 15 to 20 minutes. Rinse off. All these natural remedies can cure the problem of enlarged skin pores. Be wise while picking out any skin-care regime, your skin will thank you. Healthy skin is important and healthy looking skin is a bonus. It is a noticeable boost to your confidence.